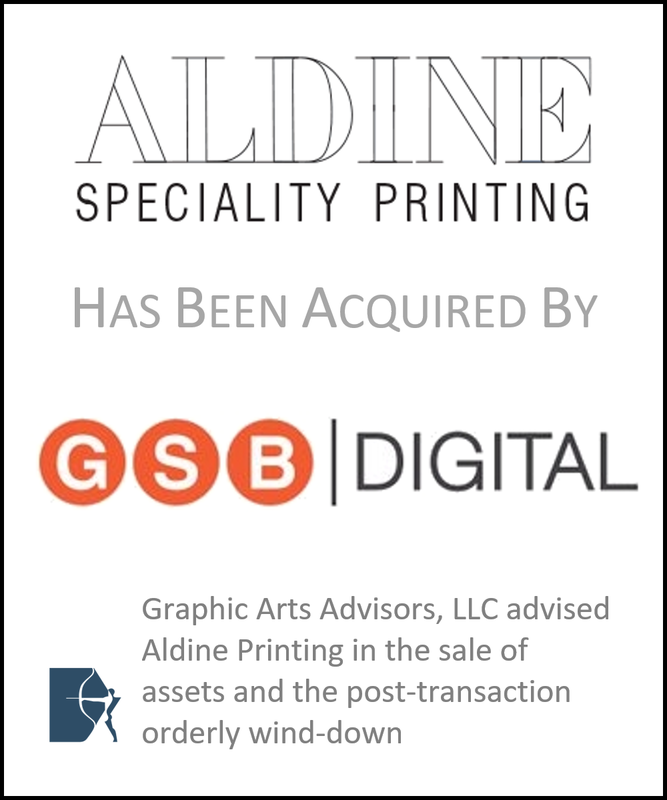 The sale of Aldine Printing to GSB Digital (announced December 2018) exemplifies what my printing industry clients like to call “strategic fit,” the foundational basis for the M&A transaction. 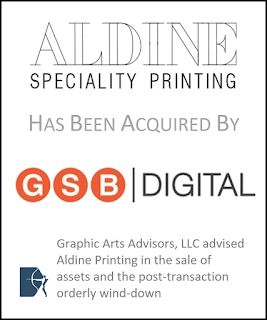 Aldine saw a path forward to achieve succession and graceful transition from family ownership. GSB Digital saw a growth opportunity from customer relationships and new capabilities. Mutual interest grounded in the “strategic fit” paved the way for creative deal-making where traditional M&A wouldn’t have worked. 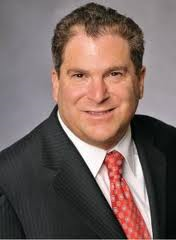 The case is a reminder for printing and graphics communications companies to seek expert advice on putting the M&A deal together IF and WHEN there is “strategic fit” and no easy answers on valuing synergies, allocating risk of future performance, or resolving financial impediments.